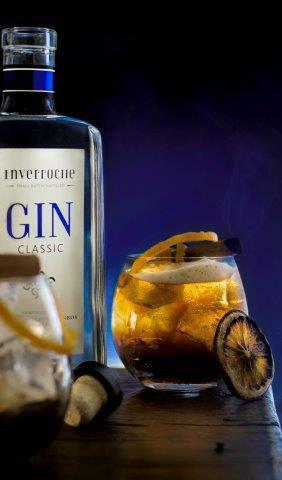 Celebrate World Gin Day on Saturday, 10 June with a South African gem, Inverroche. Their range of craft gin is infused with wild fynbos botanicals and unlike any other gin you will ever taste. Lorna Scott’s Inverroche spearheaded the gin revolution in South Africa with their small batch gins. Crafted at the distillery situated near Stillbaai, they hand-harvest the indigenous fynbos from dunes and mountains in the Cape. If you prefer to share your love of gin on 10 June with like-minded people, head to Carbon Bistro in Pretoria, Sin & Taxes in Johannesburg, 14th on Charwell in Umhlanga, and The Secret Gin Bar in Cape Town for some creative Inverroche cocktails. But if you plan to host a party at home, impress your guests with a winter inspired cocktail, the Inverroche Mocha G&T, which will certainly be a crowd pleaser. The coffee, quinine and sweet orange flavours complement the citrus notes of the Inverroche Classic gin whilst the bubbly and fruity finish lingers on the palate. Enjoy on its own, paired with Lindt Excellence’s Intense Orange Dark Chocolate or A Touch of Sea Salt Dark Chocolate, or with a slice of marmalade toast. Delish! Select a generous whisky tumbler and add lots of very cold ice. Pour the gin over the ice and add the tonic water. In a second mixing glass, combine and stir the Cointreau and Kahlua with ice in the mixing glass until chilled. Strain the mixture carefully into the G&T and garnish with a bruléed orange slice, a long curl or a twist of orange zest and a cinnamon stick.